II. 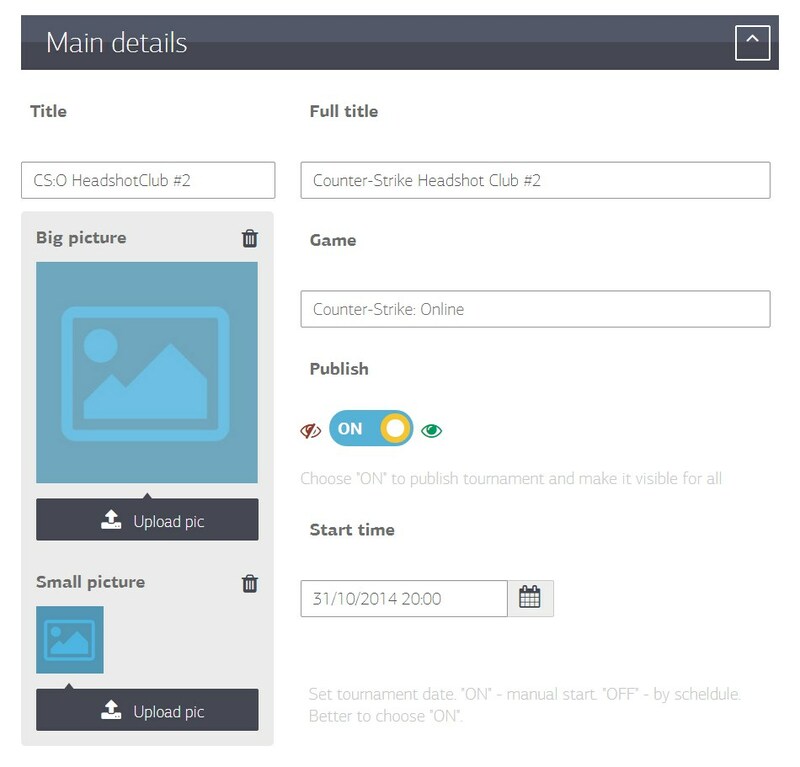 Click My Tournaments -> Create tournament. III. 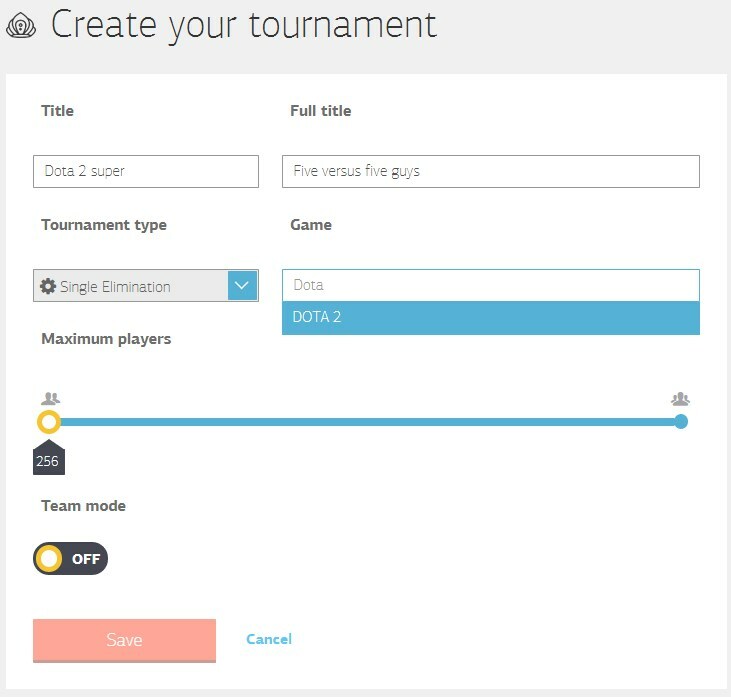 Choose tournament type, input title and game. IV. Optional: set date, upload picture, add prizes and rules. V. Give players link to a tournament. Players have to register to enter you tournament. You can shuffle players, move them and kick. 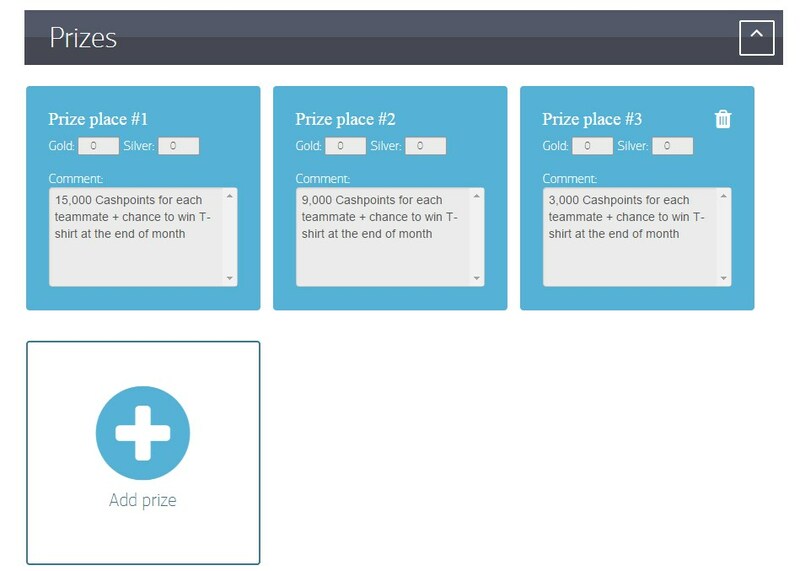 Press "start" to launch your tournament. 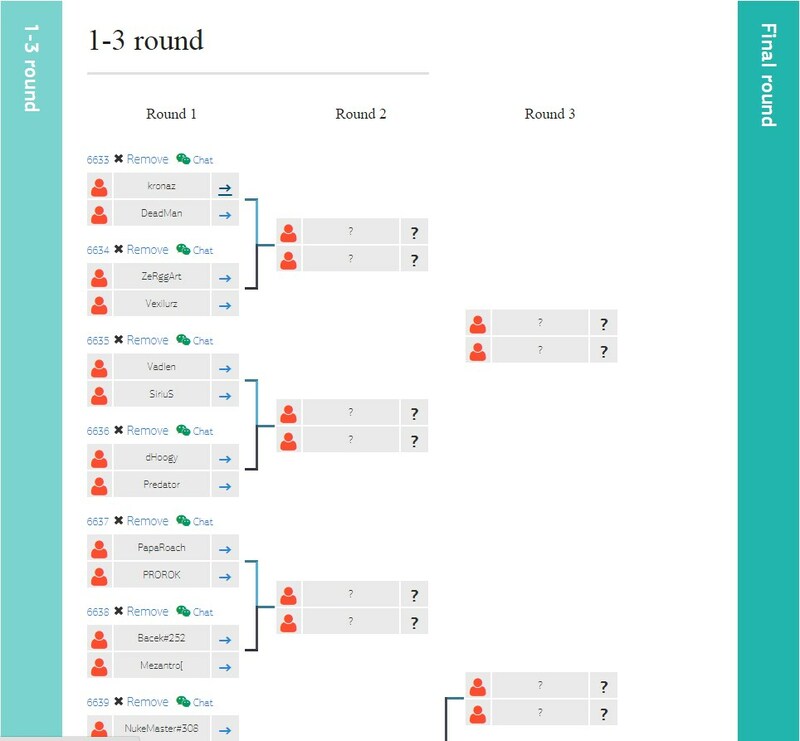 You change results manually and restart tournament. When the tournament starts game rooms open for each team/pair. Players negotiate in private chat rooms and set results.